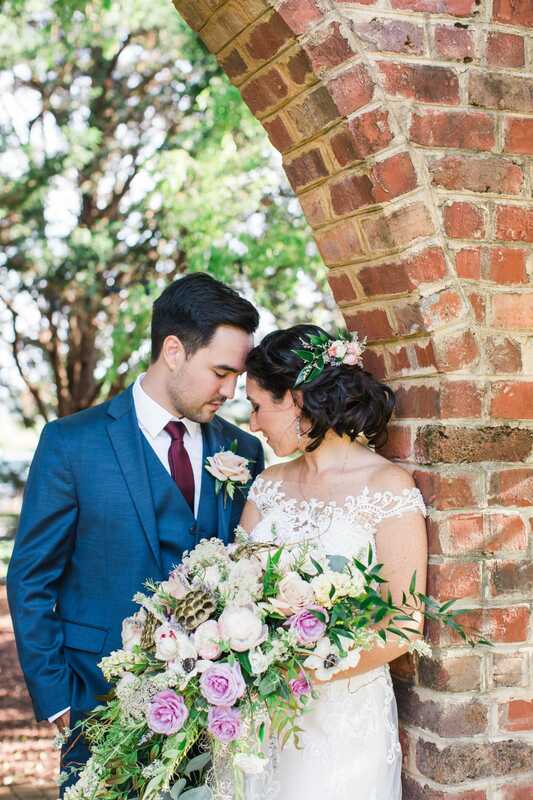 sharing this day together, and the incredible depths of love between this sweet, young couple. 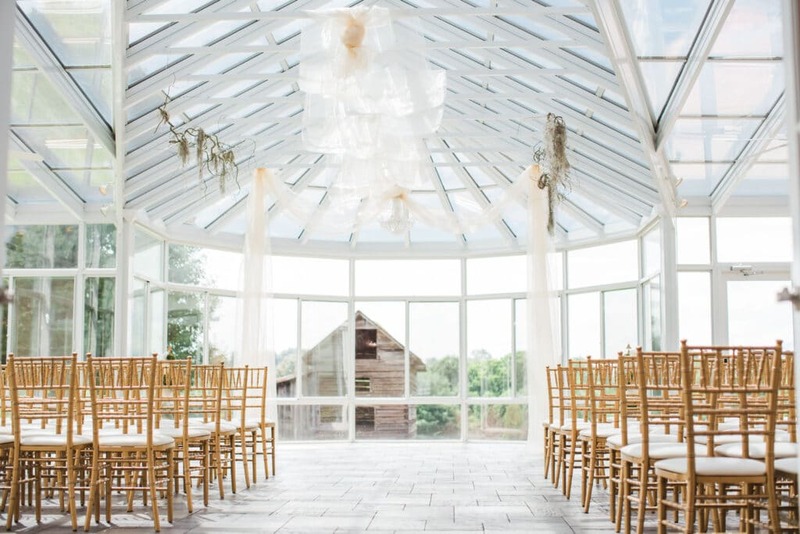 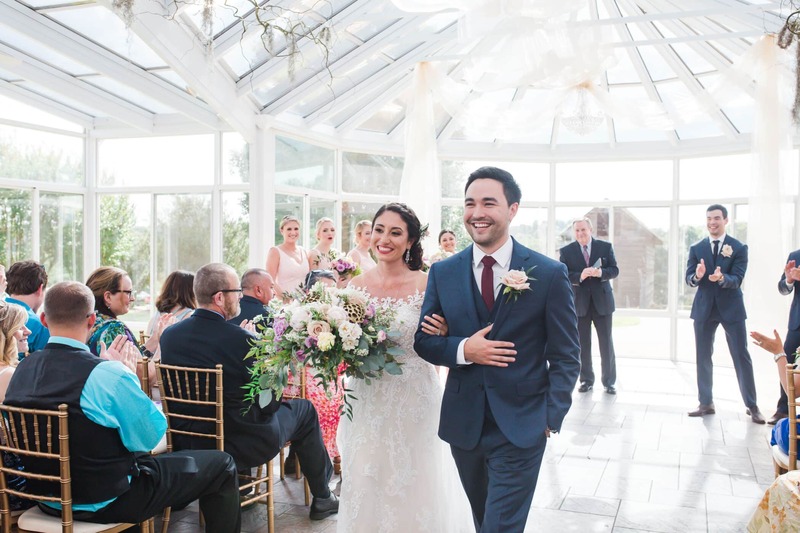 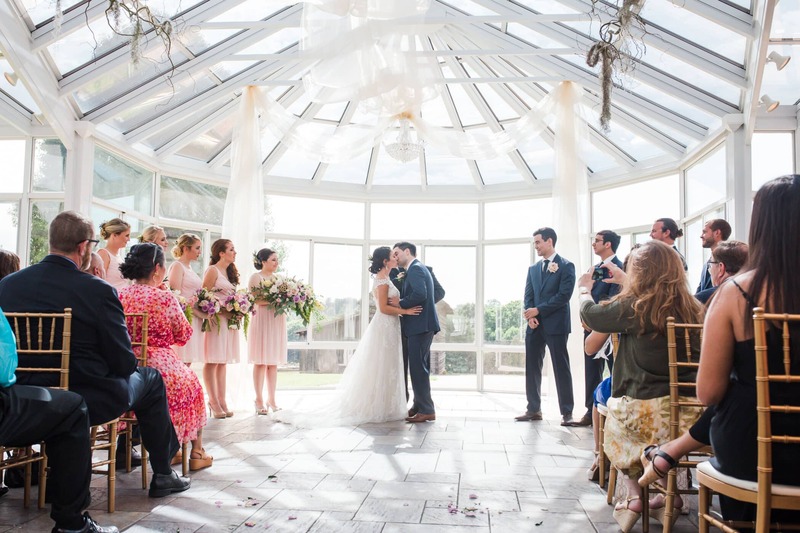 Their subtle Mid-Summer Night’s Dream theme played beautifully with West Manor Estate’s stunning English Gardens and Glass Atrium. 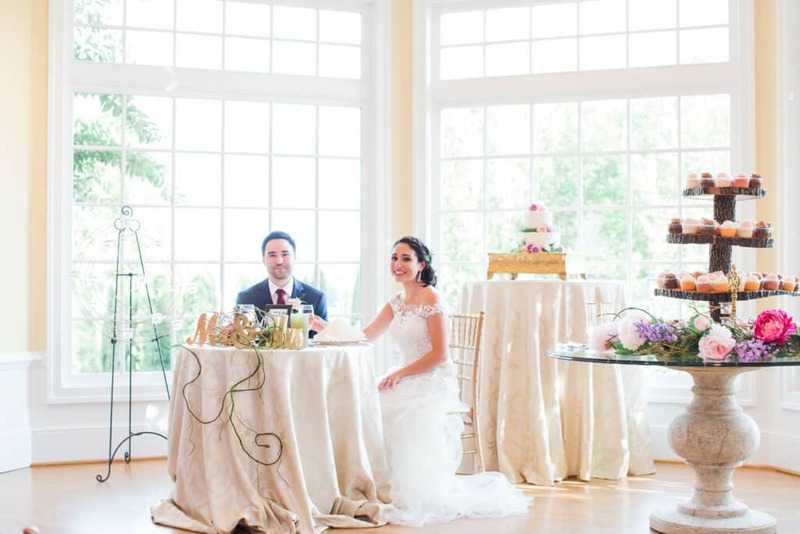 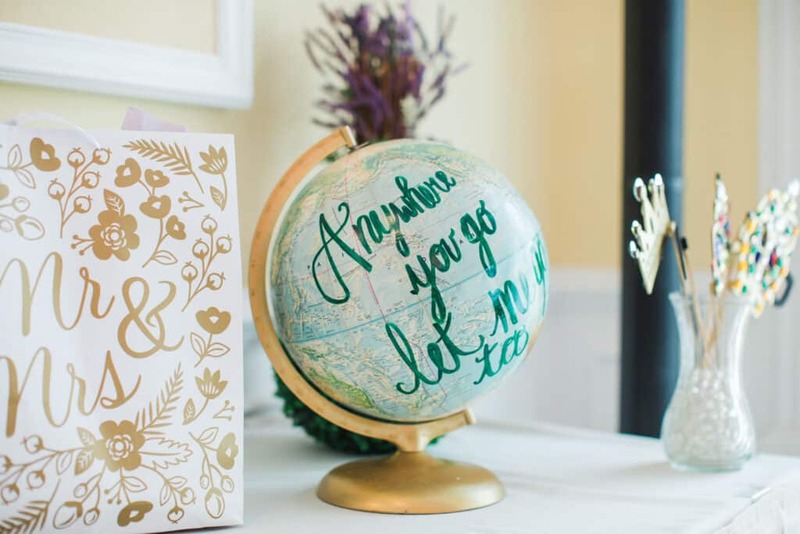 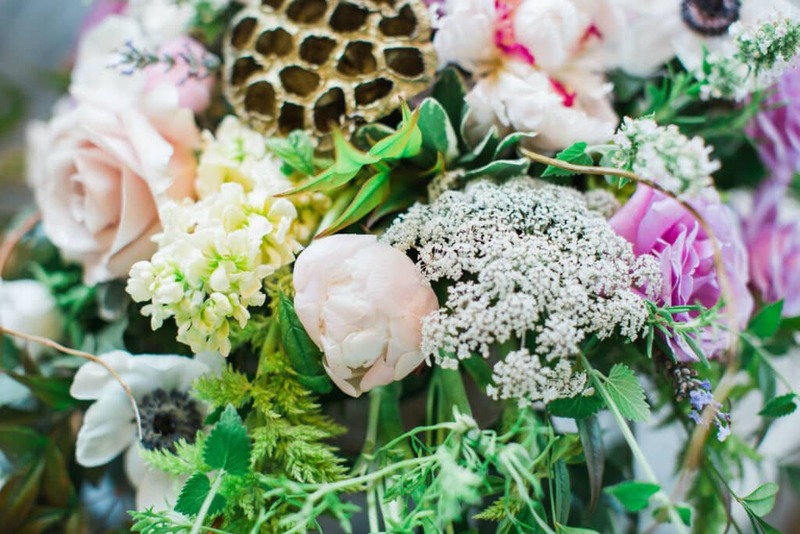 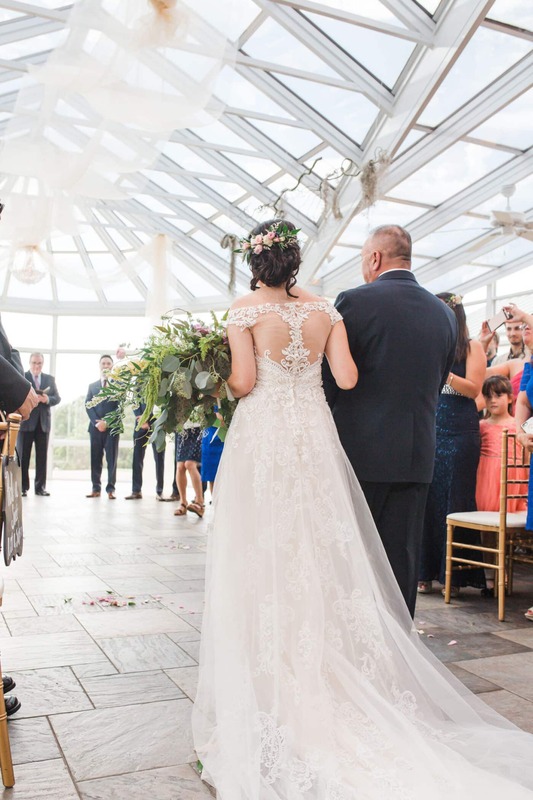 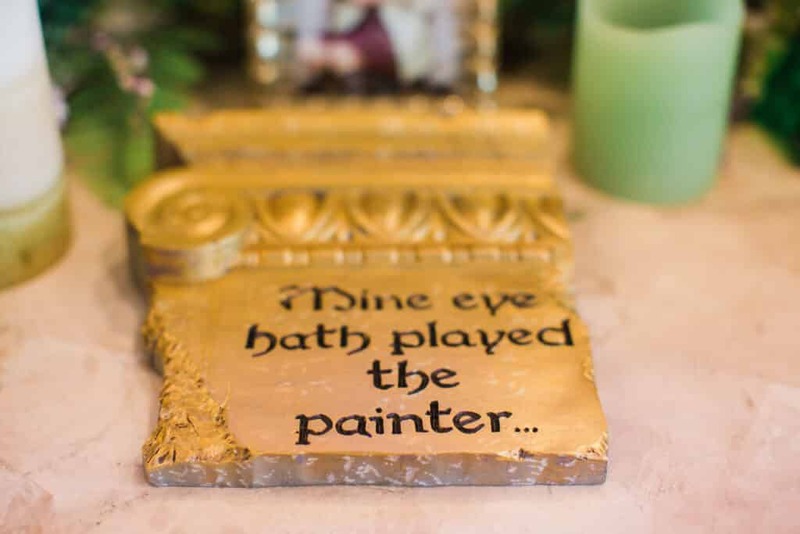 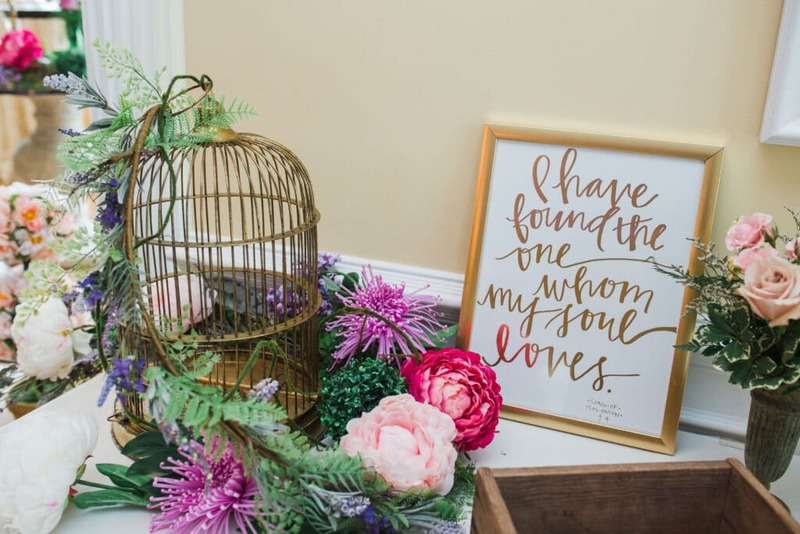 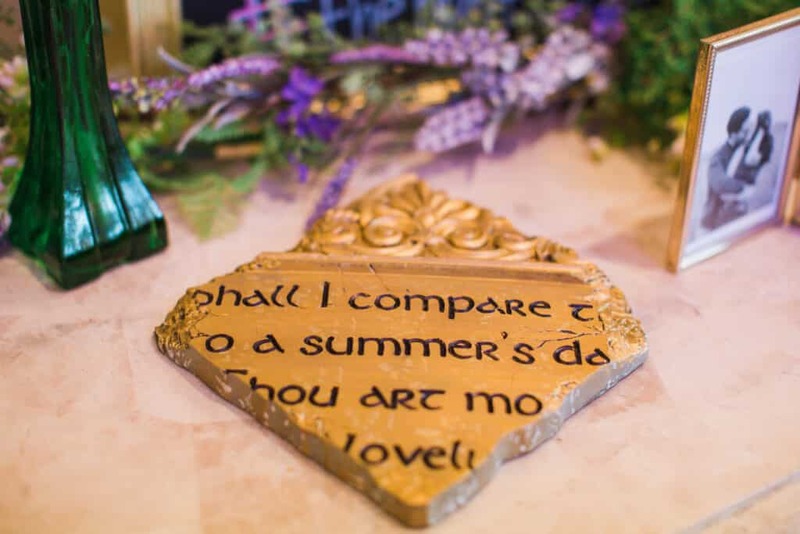 Nearly every inch of the venue was covered with decadent, cascading florals, and Shakespearean quotes, books, birdcages, and lanterns decorated the tables. 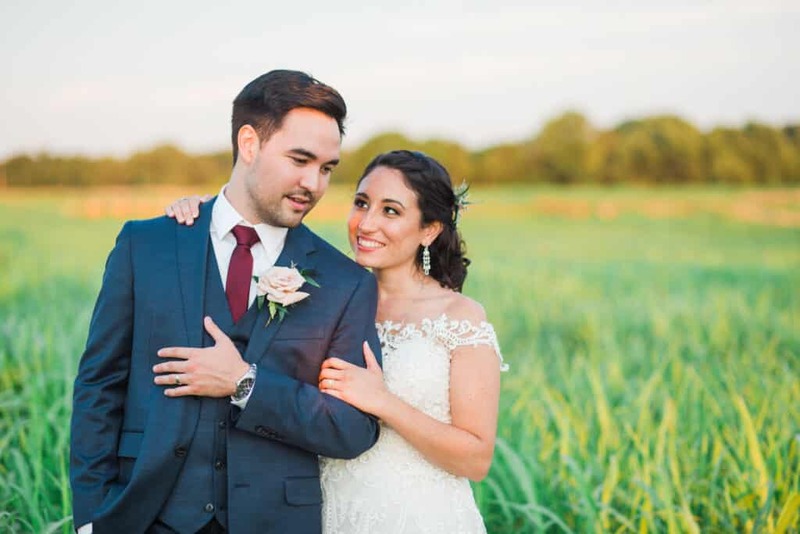 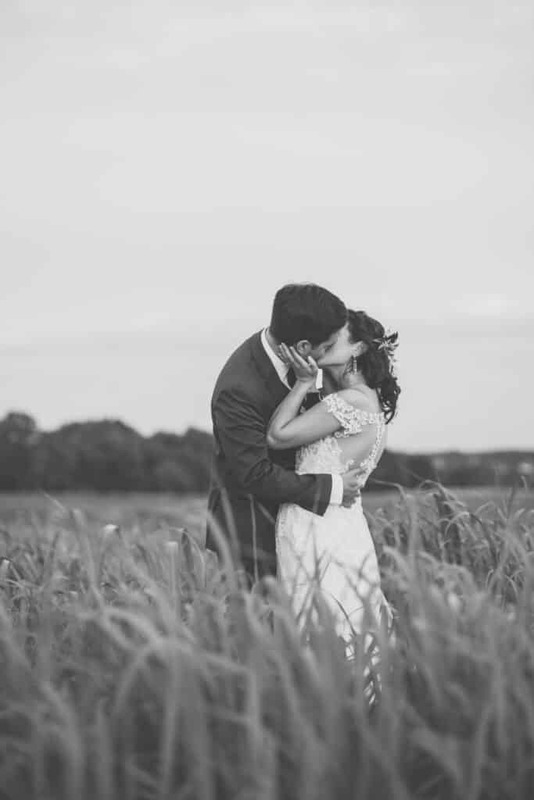 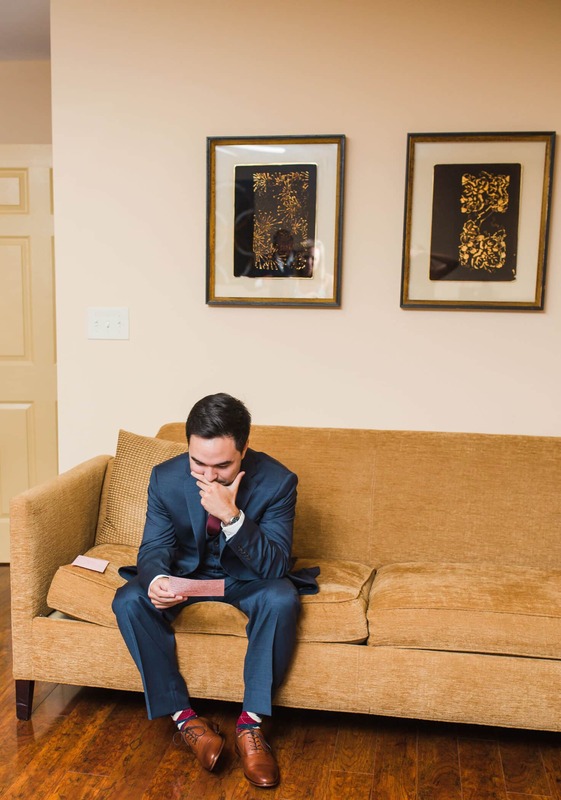 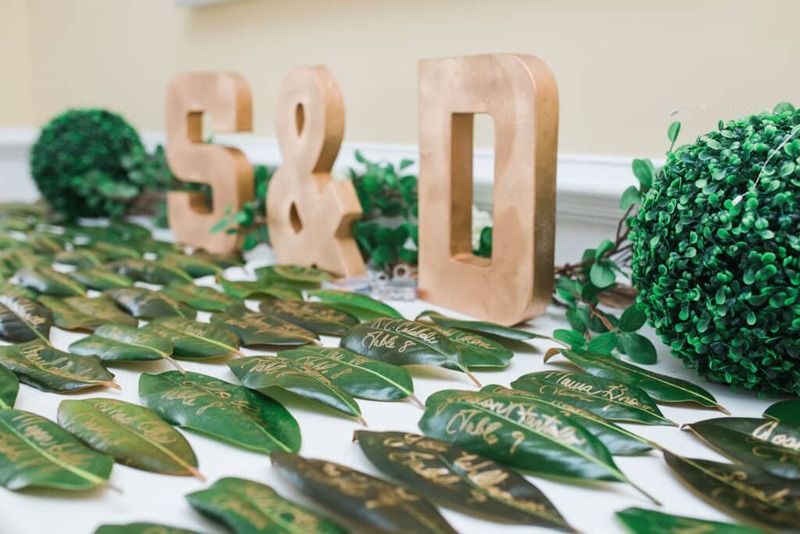 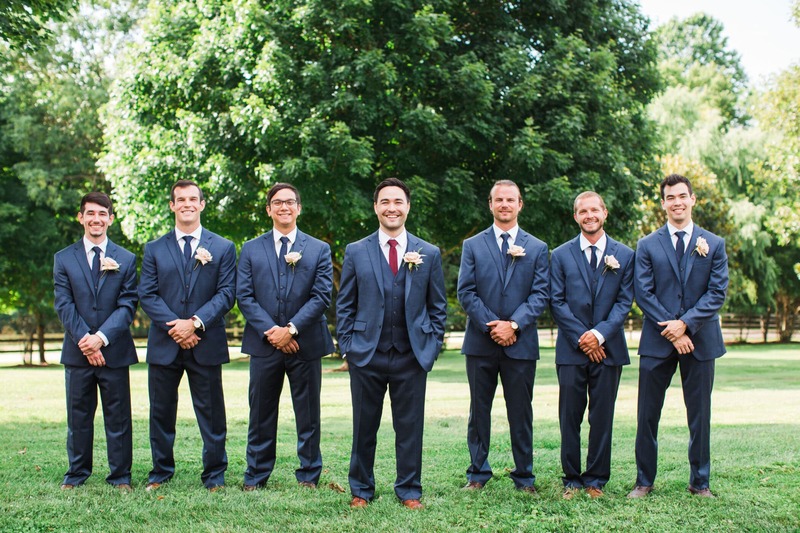 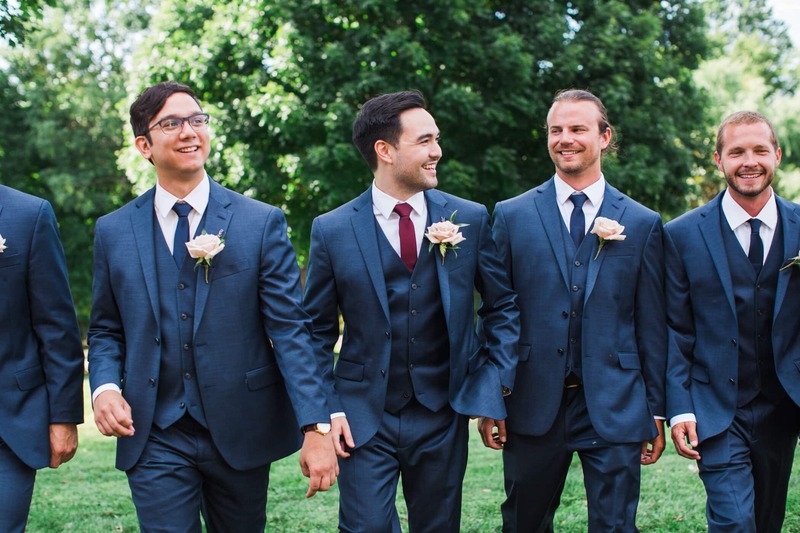 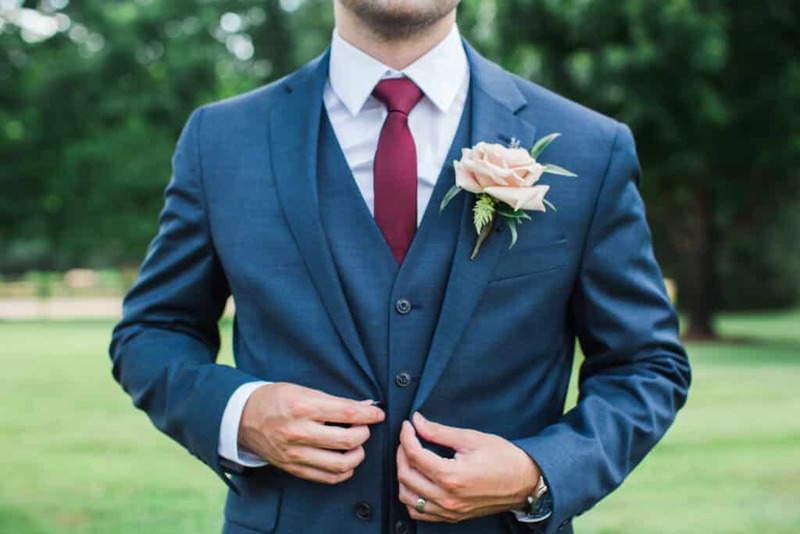 These pictures from Kidd Photography truly tell the story of Sean & Desiree’s whimsical wedding day. 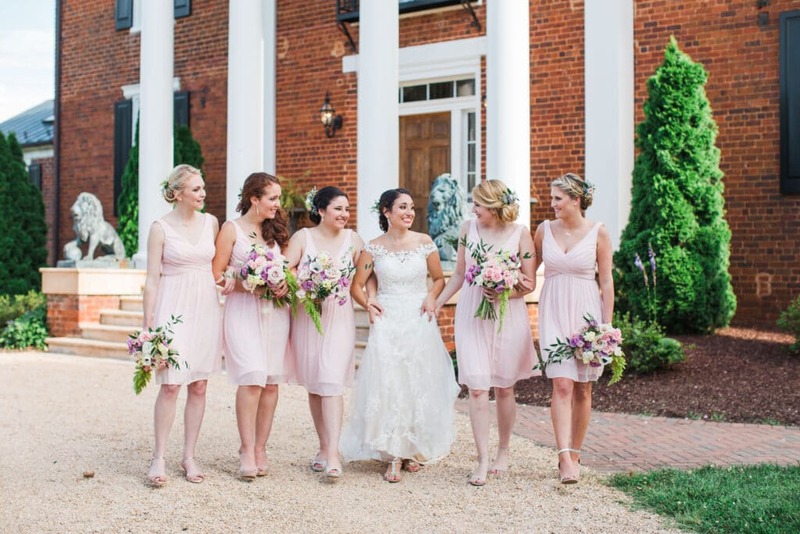 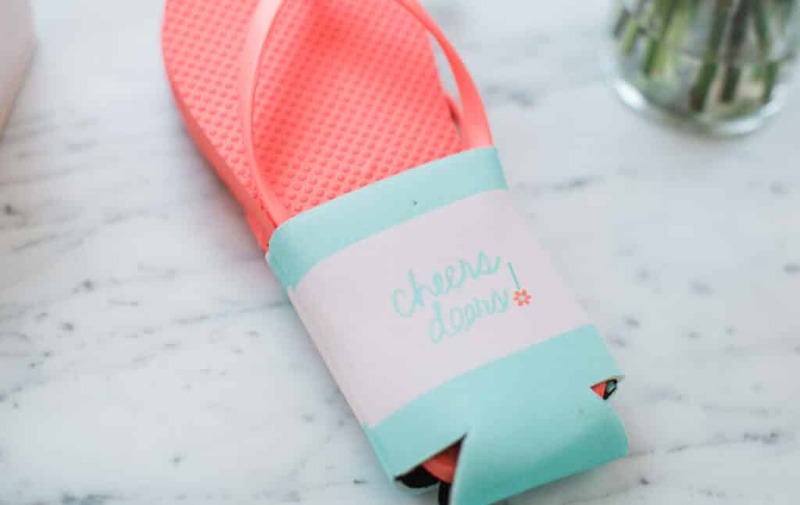 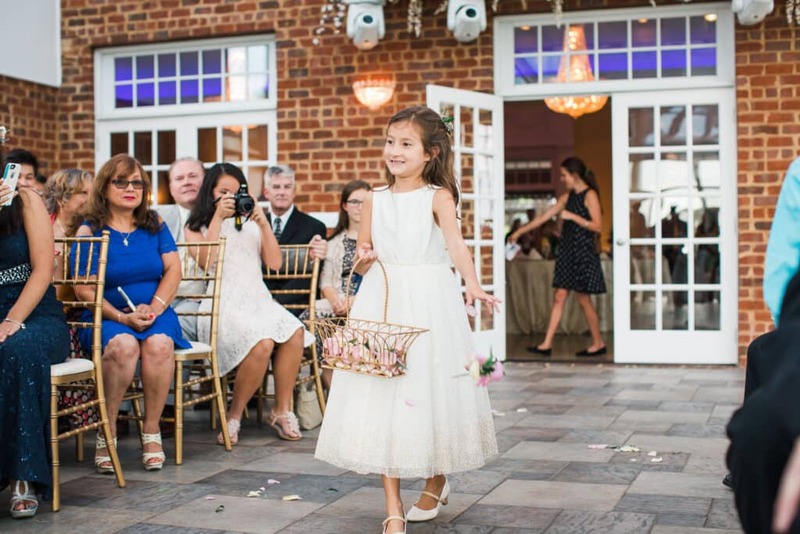 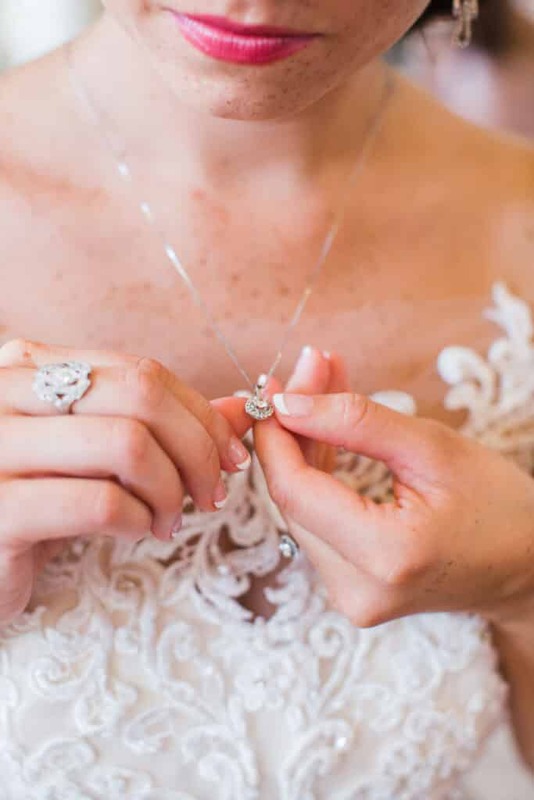 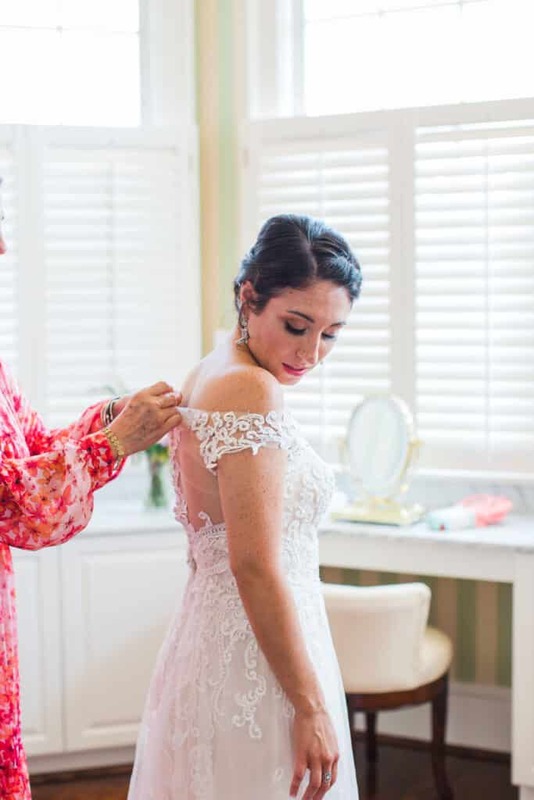 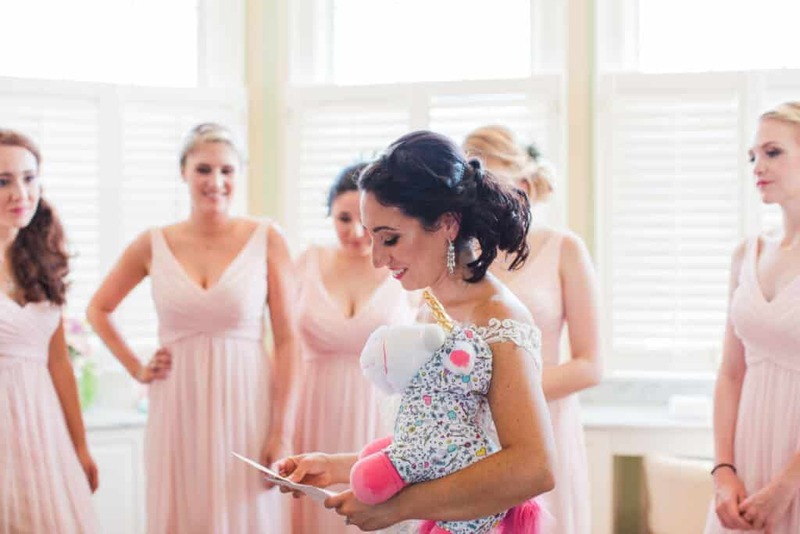 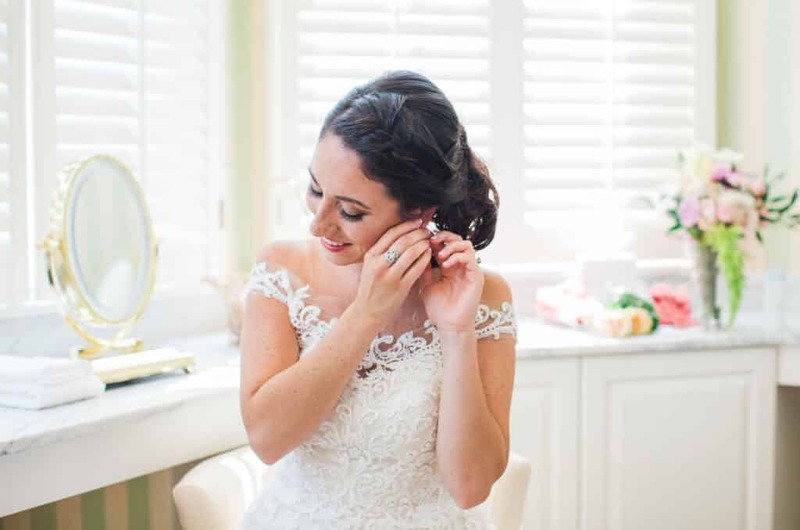 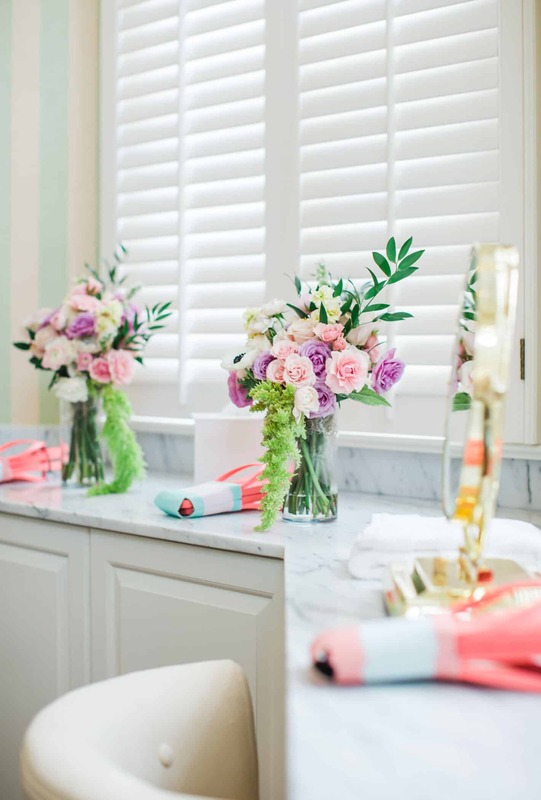 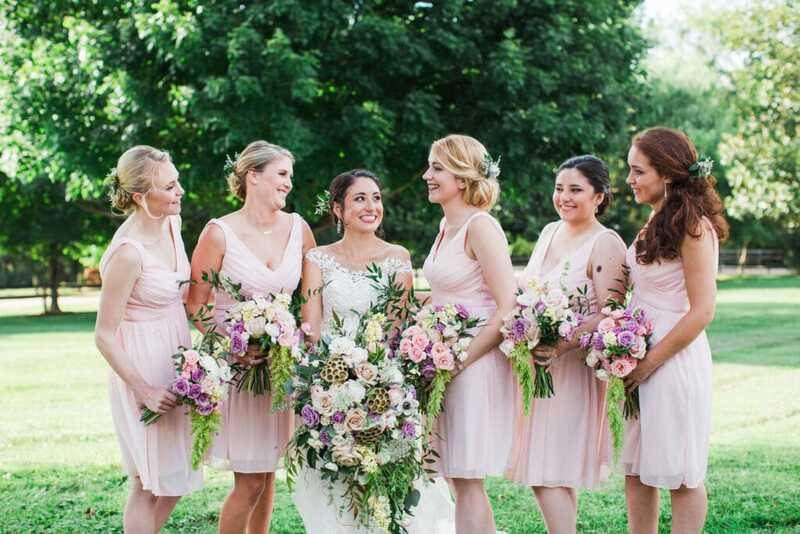 Before the day even began, Desiree had stations set up in the bridal suite with each bridesmaid’s flowers and a pair of flip flops – her gift to them so that they could slip into something more comfortable after the ceremony! 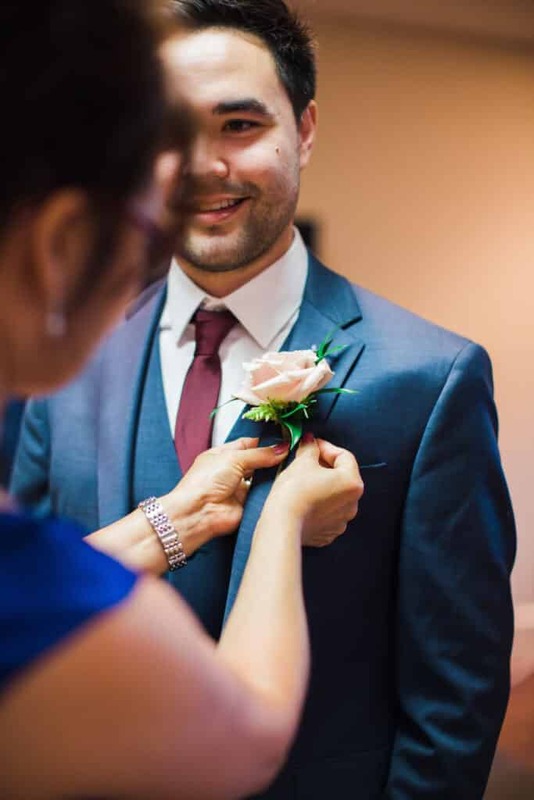 The groomsmen prepared for the day downstairs in the Groom’s Lounge, with Sean’s mother taking a special moment to pin his boutonniere to his suit jacket. 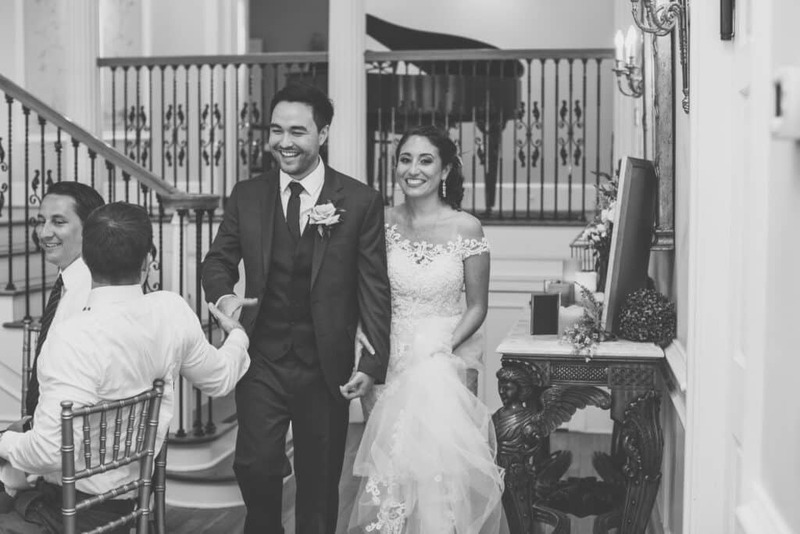 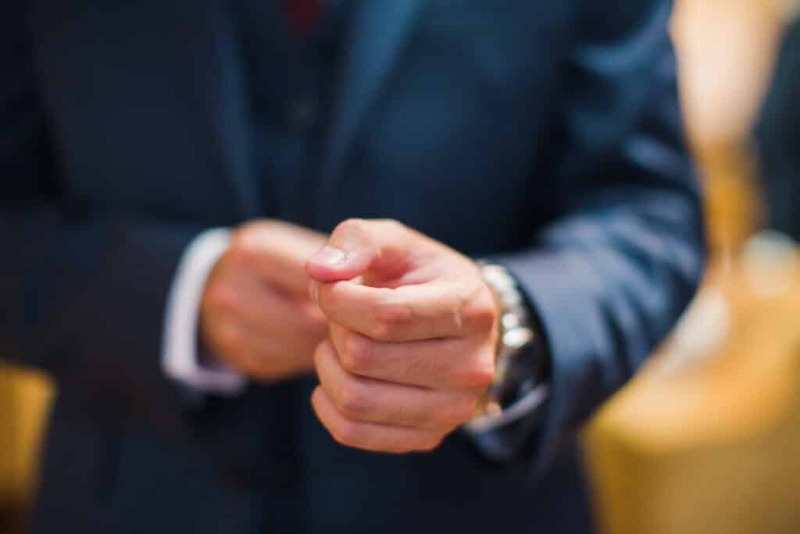 Sean & Desiree chose to forgo the increasingly popular “first look” and, instead, had delivered notes to one another in the morning. 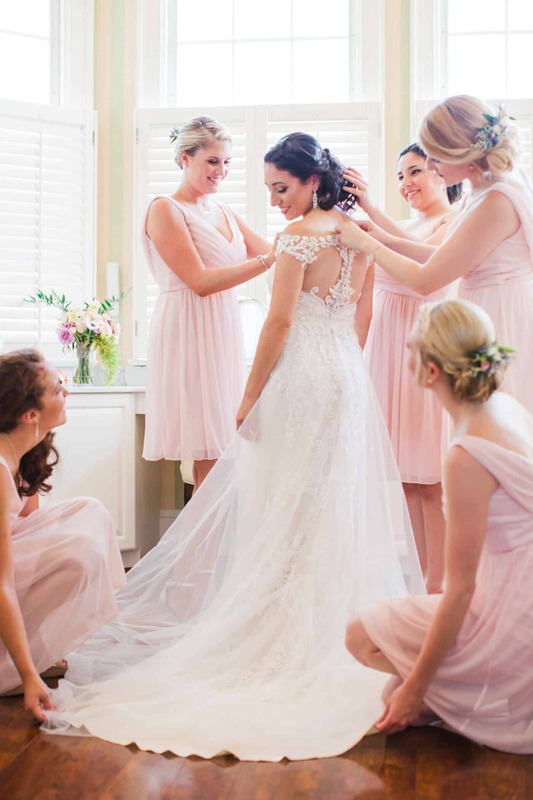 As the afternoon ceremony approached, Desiree and her bridesmaids got ready in the brightly lit bridal suite. 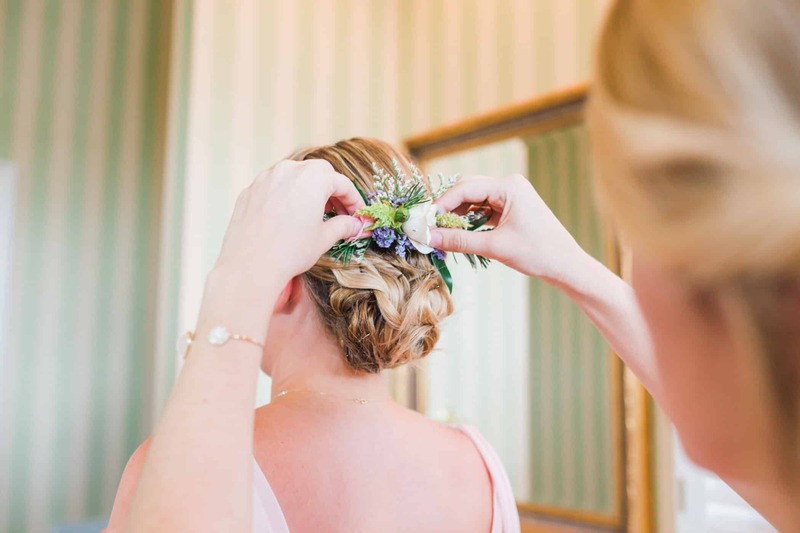 Custom floral hair pieces adorned each bridesmaid’s updo, creating a unified but ethereal look. 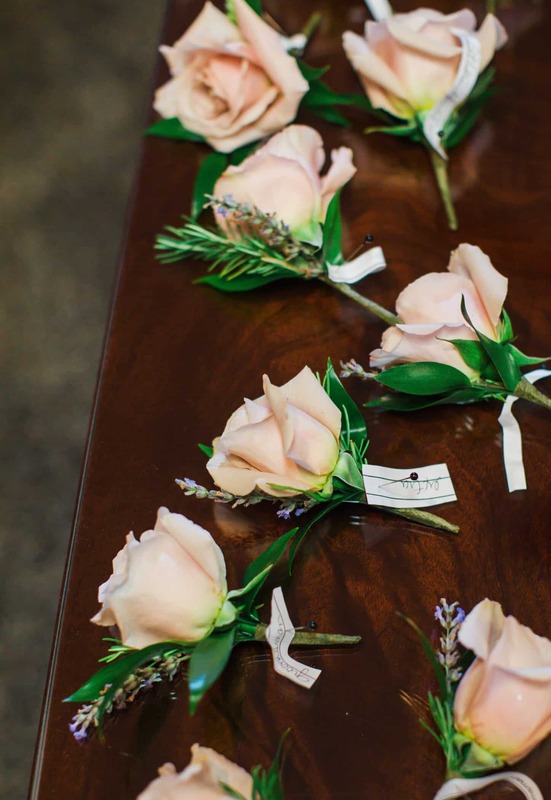 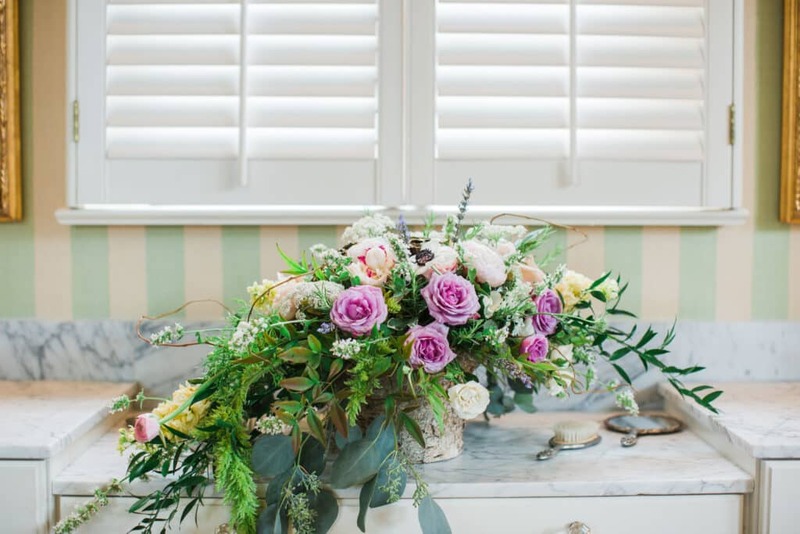 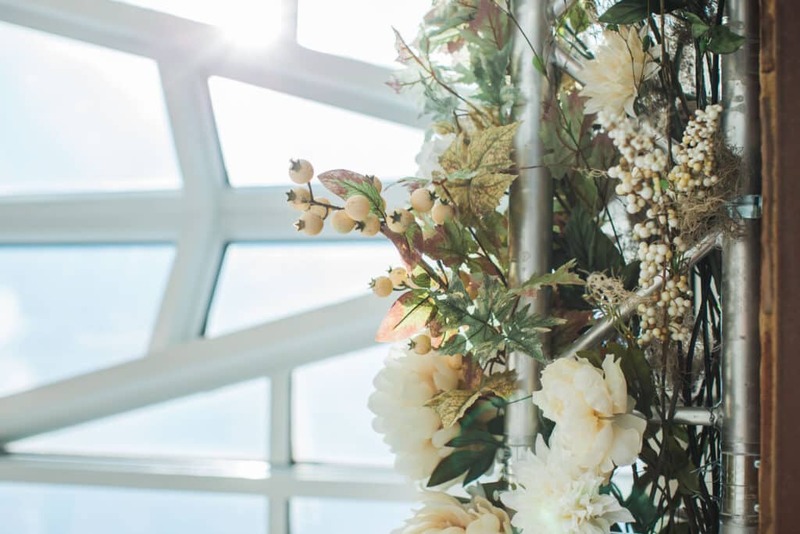 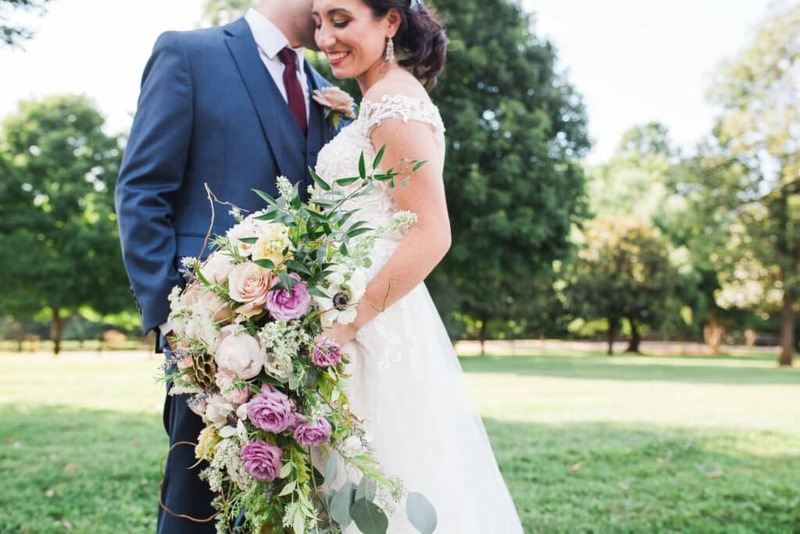 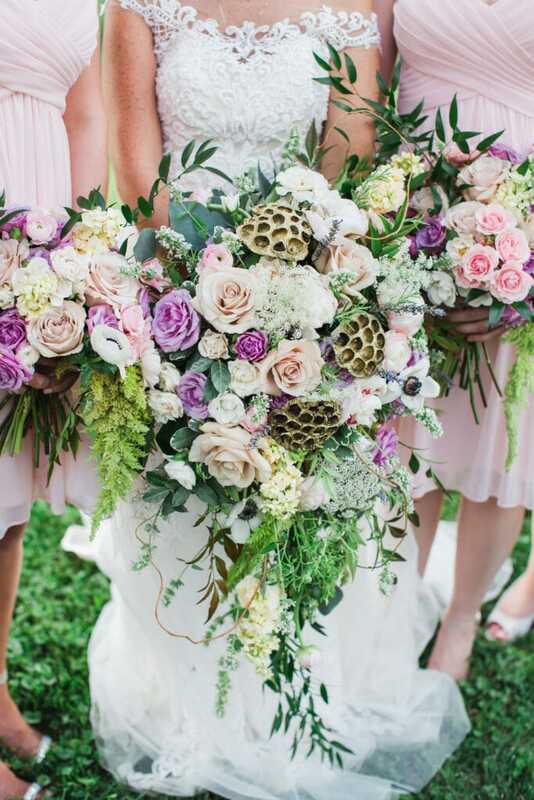 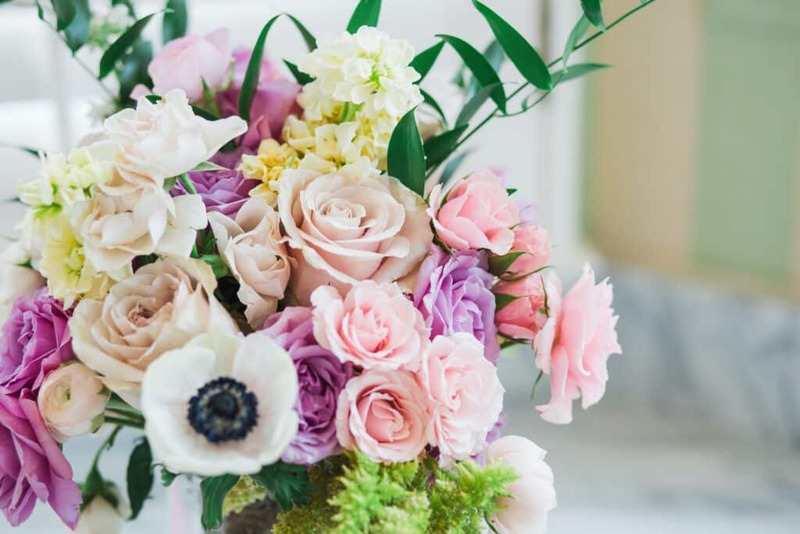 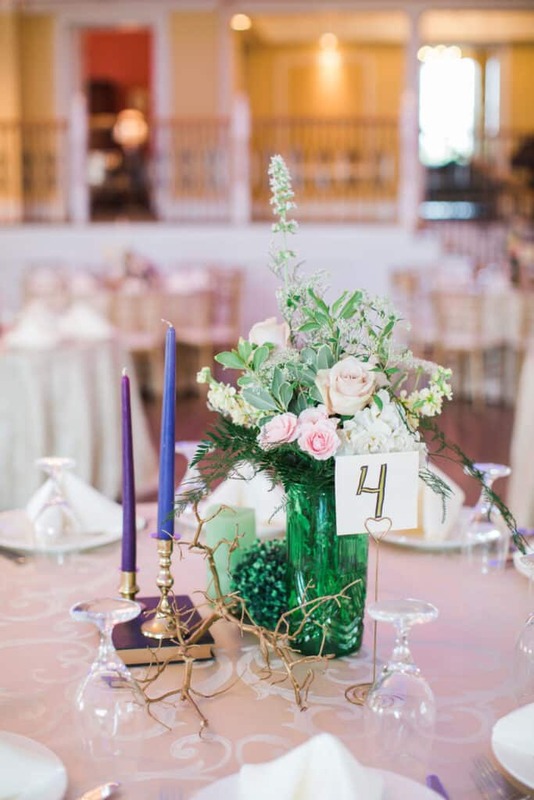 The reception hall was beautifully decorated in a wide array of lush, earthy florals, including Green Amaranthus, fragrant lavender spray roses, Lotus pods, Queen Anne’s Lace, rosemary, seeded eucalyptus, quicksand roses, Italian ruscus, anemones, and pink peonies. 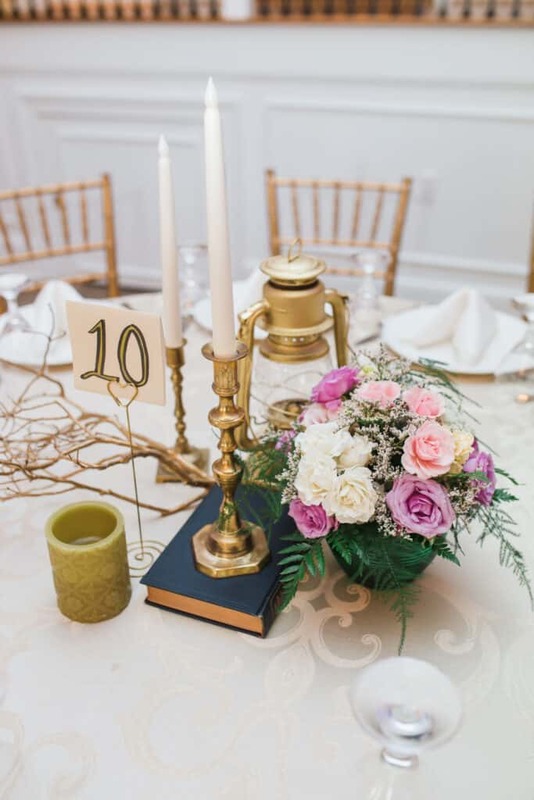 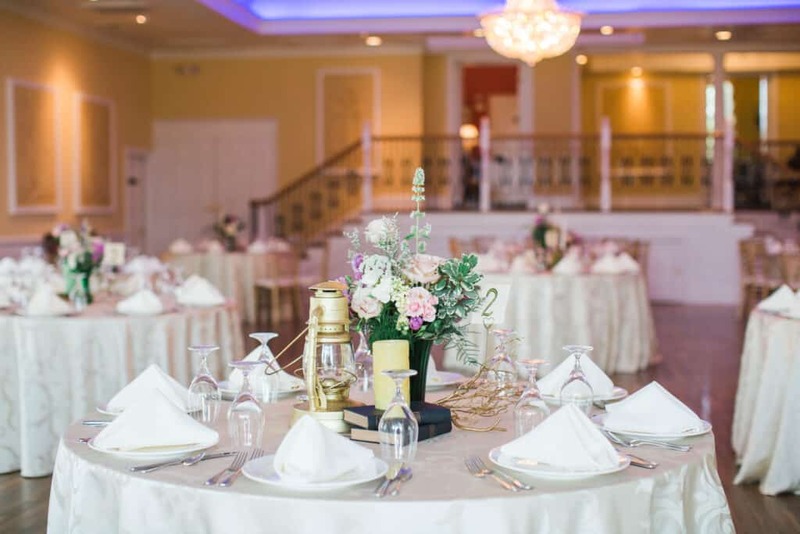 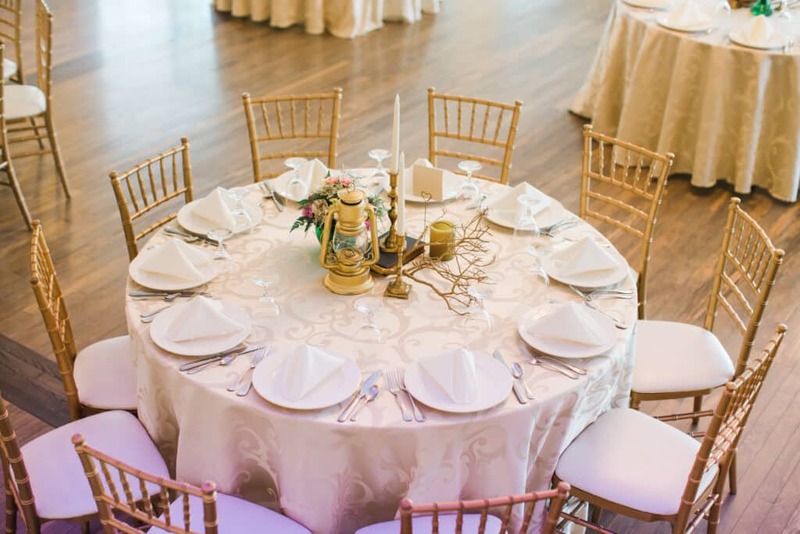 Romantic quotes and hard bound books alongside golden candelabras, painted branches, and lanterns atop simple but luxurious white linens decorated the tables. 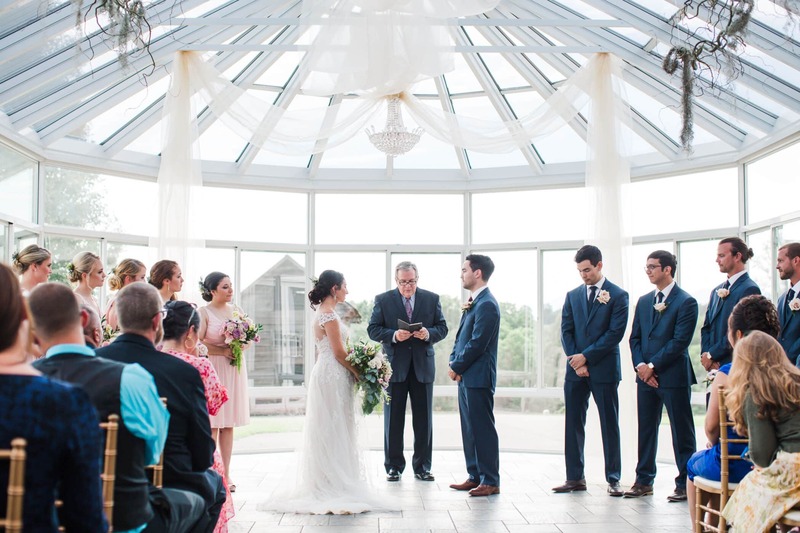 The 5 o’clock ceremony began in the glass Atrium and two families joyfully celebrated the union of this beautiful couple. 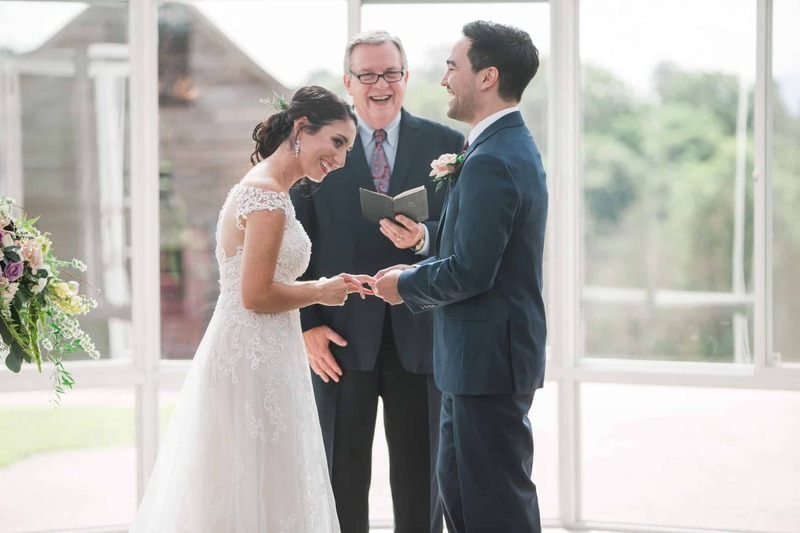 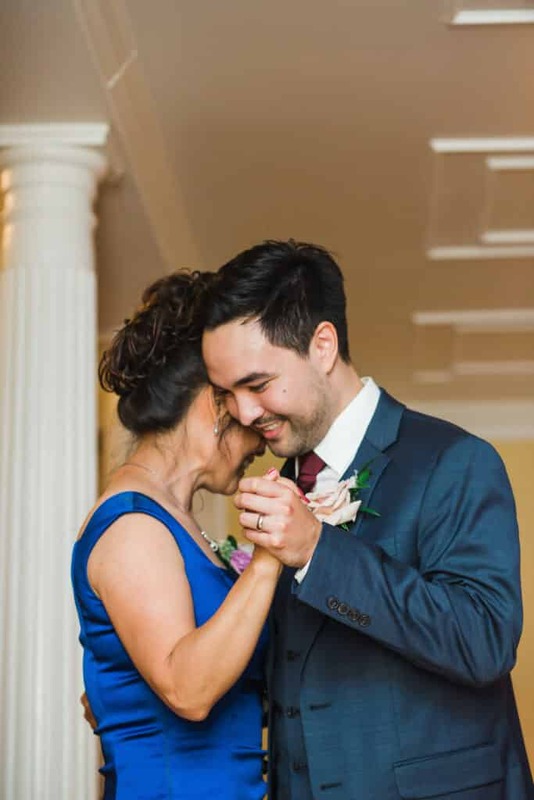 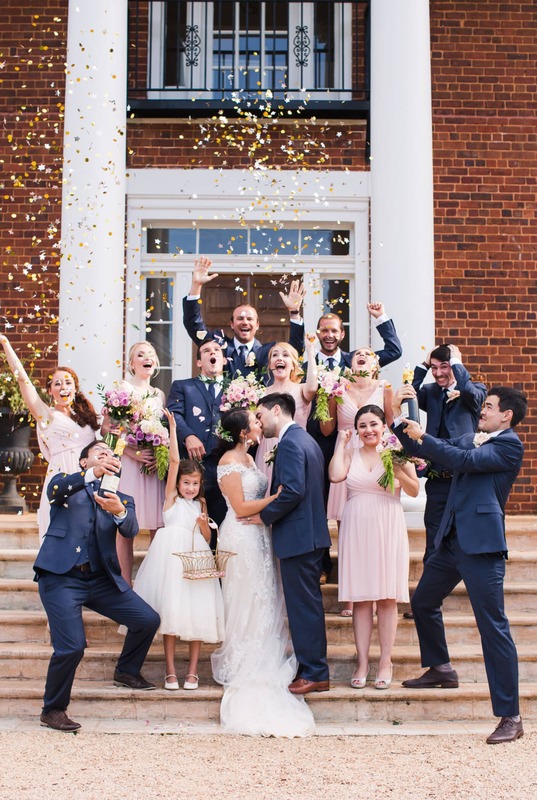 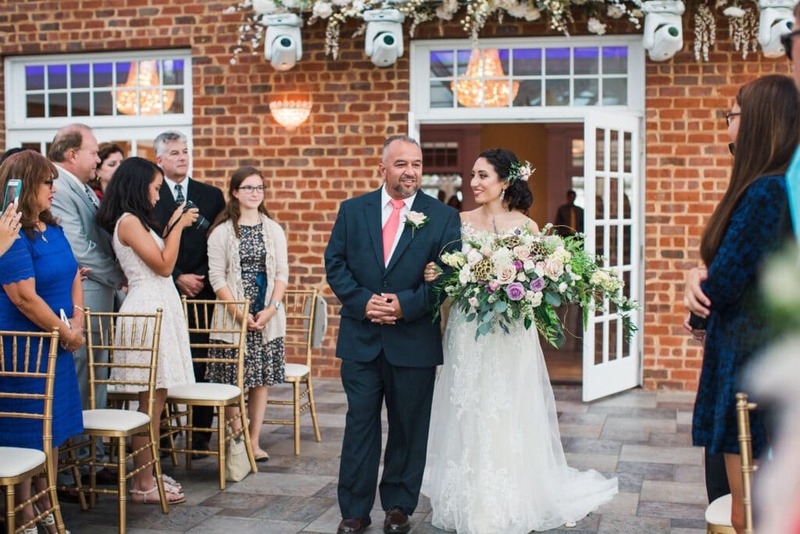 Throughout the ceremony there were moments of laughter and sincere joy. 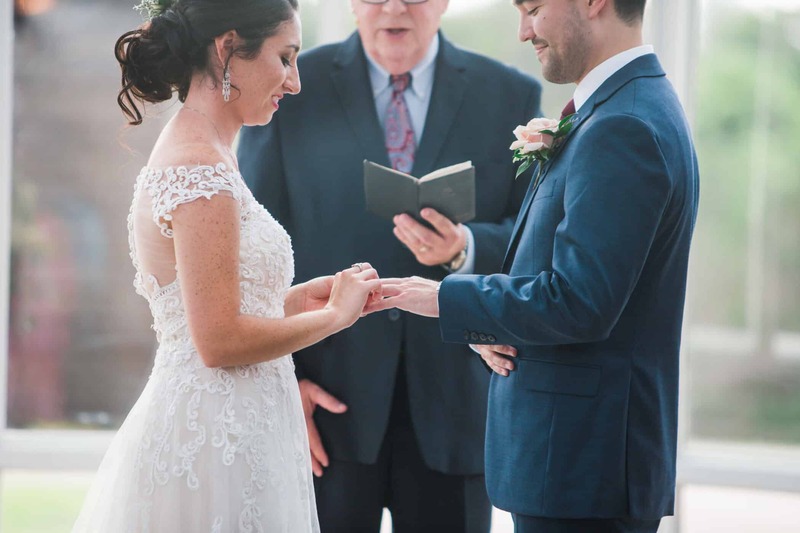 The looks on their faces really say it all. 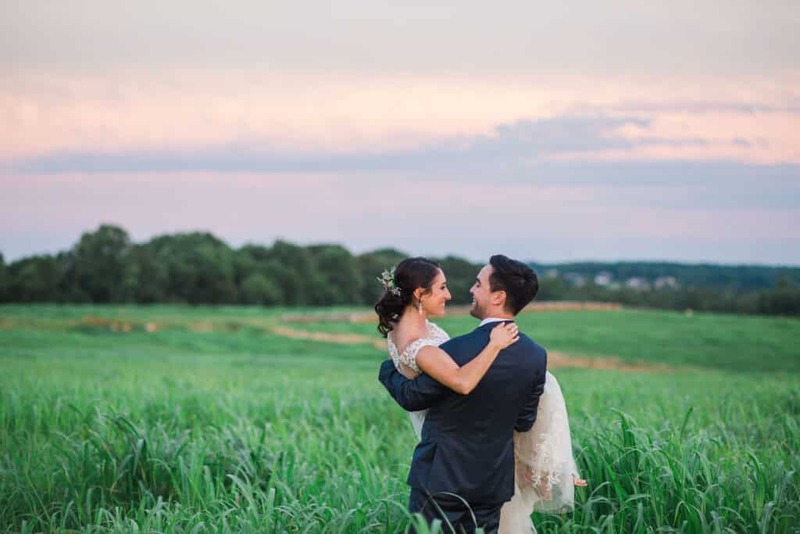 As cocktail hour began for the guests, the wedding party retreated outside for photos – a great time to relax and cut loose before the rest of the evening began. 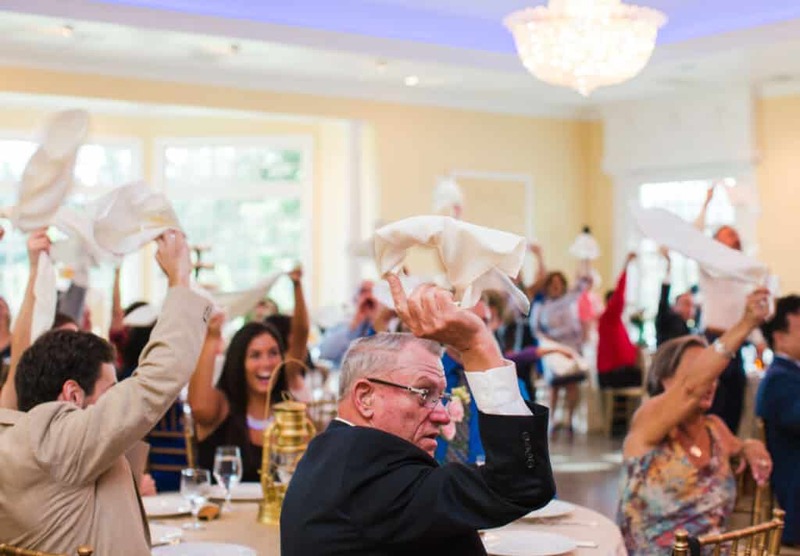 Back at the reception, the wedding party was met with festive music and celebratory spinning napkins. 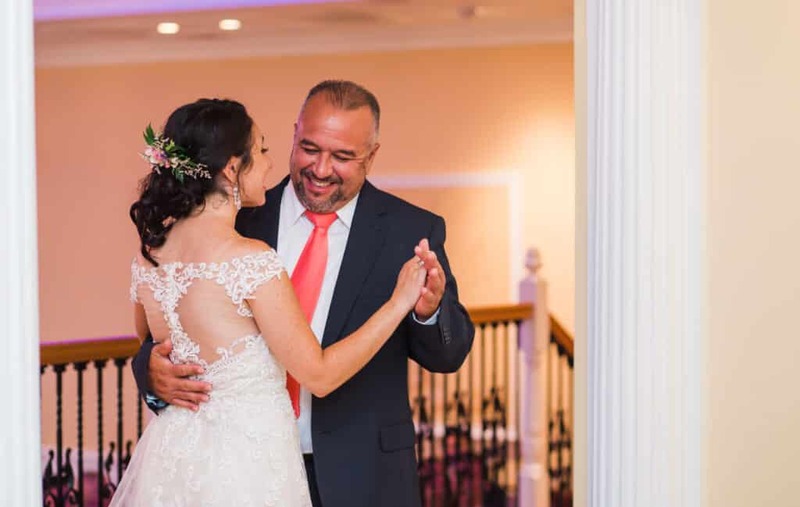 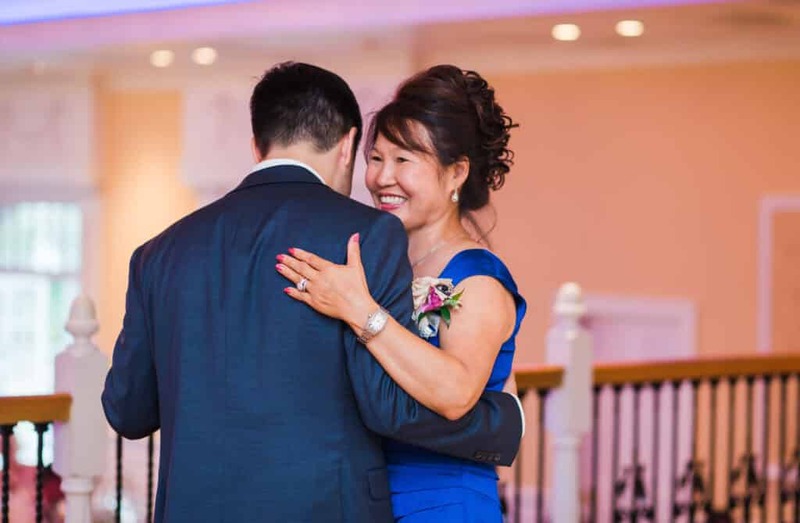 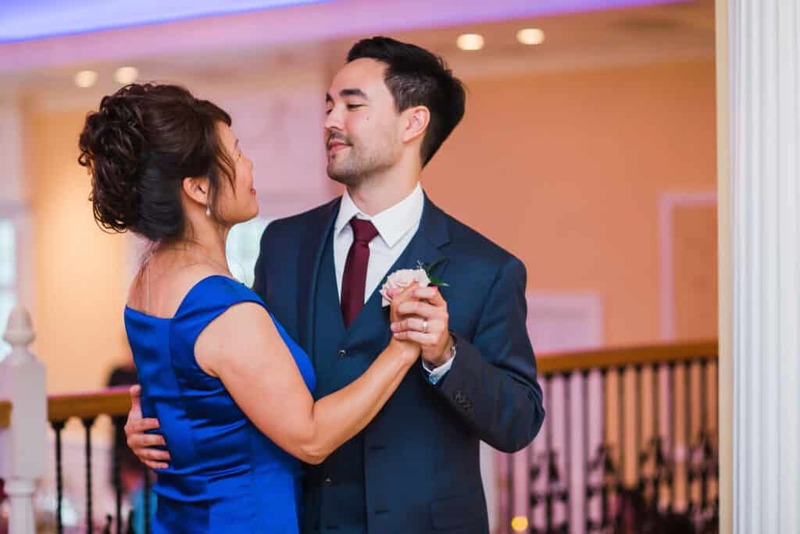 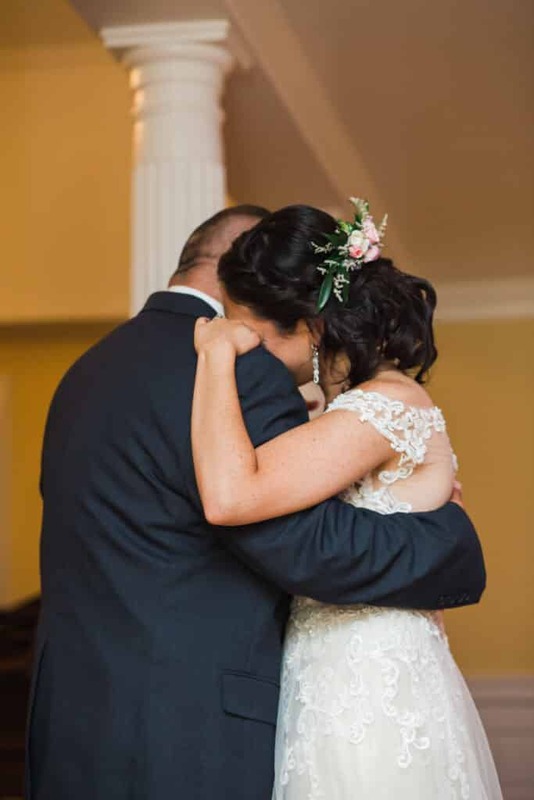 The father-daughter and mother-son dances were an emotional time as the importance and meaning of the day sunk in. 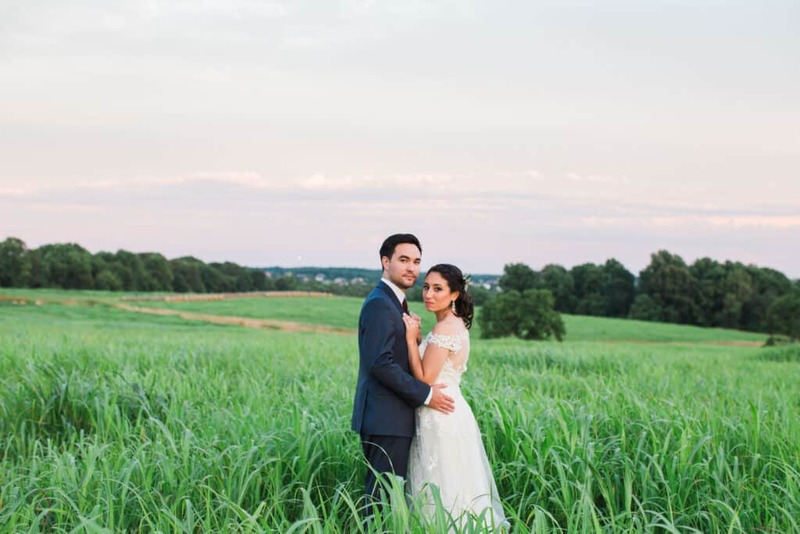 As the sun began to set, the couple snuck away from the party to take some romantic photos in the twilight. 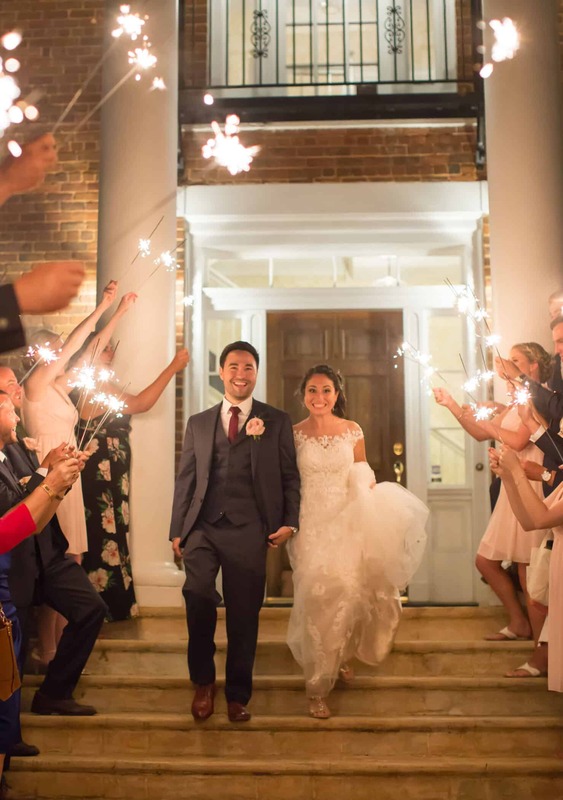 The party continued into the night, when finally the guests gathered around and lit sparklers for a grand exit. 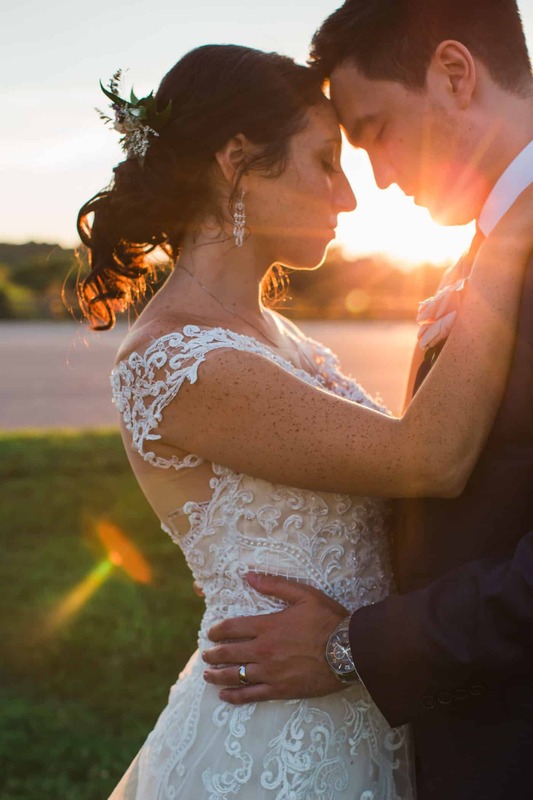 What an incredible summer day, full of romance and joy. 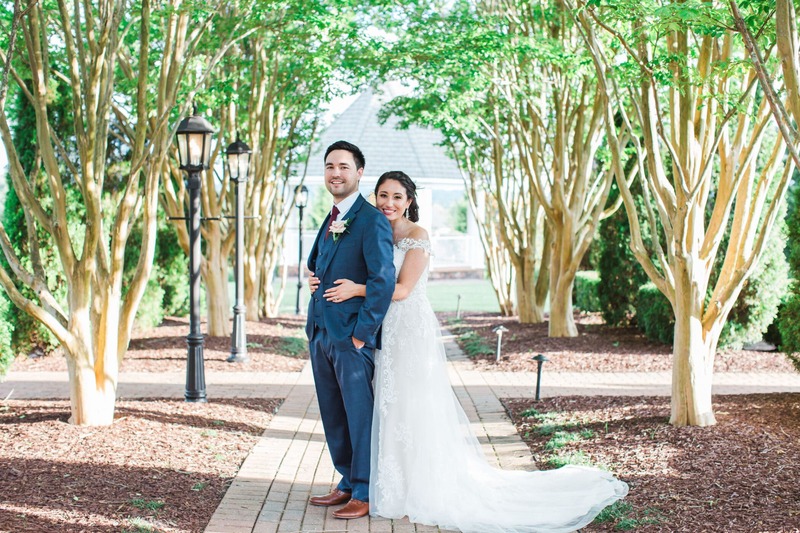 From everyone at Entwined Events, we wish nothing but the best to Sean and Desiree as they begin their new life together!